Diversity and Inclusion (D&I) has gained both support and momentum across the TDS organization—and we have a new award to prove it. 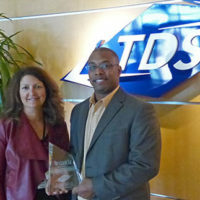 The latest is TDS Telecom winning the Diversity Advocate Award by the Wisconsin Society of Human Resource Management (SHRM). This comes the same year that TDS Inc. was named to Forbes' America's Best Employers for Diversity.